This past Sunday I ran my last race of the year and it was a fun finish to my 2015 season. In the wee hours of the morning… okay, it was technically still nighttime (or “stupid o’clock” as my running coach calls it), I awoke to get ready for the Lexus LaceUp Riverside Half Marathon. After tossing on my running garb and grabbing a can o’ caffeine (of the Diet Coke variety) to go, I was off to pick up my buddy Kelly for the trek to Riverside. And this climactic chapter in the “LaceUp quadrilogy” did not disappoint. The LaceUp races are intimate affairs, typically capping their racers between 1500-200 entrants with runners opting for their preferred distances. It’s a nice laid back atmosphere and a welcome change of pace from mob scene affairs (like the Disney races). Riverside offered the half marathon, 10K, 5K… and a 1K run for the wee marathoners of tomorrow. I ended up running the half marathon distance, as I wanted to notch one more 13.1’er for the year. And I wasn’t running alone as I had a trio of buddies with me (my friends Greg and Paul met up with Kelly and I at the start line). Parking was a snap (another plus of the series) and after a quick walk to the start area and perfunctory porta potty pause I was anxious to run. I also met up with several of my fellow LaceUp Ambassadors (a great bunch of people), snapped a quick photo and wished each other well as the start time approached. One sad note of the times. Riverside is only about 15 minutes away from San Bernardino and everyone is still in mourning from the tragic shootings that occurred there last week. A fitting moment of silence was held pre-race to honor those poor souls struck down in the senseless attack. After the playing of the national anthem (I always shout “play ball” at the end… it’s my thing), it was time to pound some pavement. The course for the race was a hybrid “looping” and “out and back” route, traveling along both the streets of Riverside and on the running/bike paths. Prior to the race I checked the elevation chart for the half marathon route and saw there were a few hills to handle. However, on race day it felt like a few extra hills magically appeared on the route overnight. Those sneaky hills. Let’s just say that my quads were screaming a little more on Monday than I had anticipated. Anyway, my strategy for the race was to take it nice and easy. No PRs for me this day. I was hoping just to finish under 2:15 and I happily clocked in with a 2:13:49. Two of my buddies did PR on the course and they commented how they enjoyed it (perhaps those magical hills were just in my mind). After the race my buddies and I met up for a free post race beer (courtesy of Sierra Nevada) and some gratis food truck grub (more great race perks). I then made my way to one of the tables to grab my “LaceUp Challenge Medal.” By running each of the four races in the LaceUp series (10Ks at Irvine and Palos Verdes and halfs at Ventura and Riverside) I earned a bonus medal… and this was one cool piece of bling. My thanks to the gang at the Lexus LaceUp Series. They put together a fun race series this year with some great perks that you don’t get at many other races. I know they’re already hard at work on the 2016 series, so check ’em out (click here). So, following the Riverside half I bid my fellow LaceUp ambassadors and friends adieu. All that remained was the trek back to LA, dropping Kelly off at his casa and then heading home for a much-needed shower. And yes, I took off my bling first. Note: I plan a 2015 wrap-up post in the next week or so. 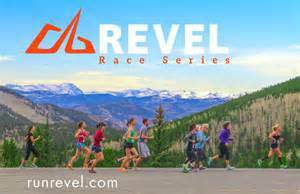 Posted on December 10, 2015, in General, Race Review and tagged LaceUp Riverside, Lexus, Lexus LaceUp Series, Saucony, Sierra Nevada. Bookmark the permalink. 6 Comments. Thanks for the note. We are a little spoiled (thanks to the weather) here in SoCal. And I’m not sure exactly when I started yelling “Play Ball” but it’s not part of my runner’s OCD (and it does make runners around me laugh, so that’s good too). Funny how we have our “traditions.” Mine is to call out at the mile 2 marker (in either a half or a full), ONLY TWO MILES TO GO! THAT WASN’T BAD AT ALL! I either get laughs or dirty looks. There’s no middle ground. On another note, you’ve pretty much convinced me to give the Lexus LaceUp Series a go. At least a couple of them. Are the races at the same general time every year? I’m sort of neurotic about putting together my race calendar. Thanks, and Happy Running (and Happy Holidays, while we’re at it (and Happy Star Wars Day)) . . . lost track of my parentheticals for a second. Hopefully we’ll cross paths at the LA Marathon! Hey Chris… I like the 2-mile shout out (I’d definitely chuckle). As for the Lexus series, no word on the schedule for 2016 yet, but I would think it’ll be a similar schedule… the only race that was a little in flux this year was the first one (Irvine). Once they announce the schedule, I’ll be sure to give you a head’s up. And happy holidays to you… BTW, got my Star Wars ticket for Friday at noon at the Chinese Theater (booyah)! Love the challenge medal – I’m sad I had to miss Ventura! I definitely heard you yell “play ball!”. Great seeing you out there for one last Lace Up team run! So you heard me yelling at Riverside (I am a bit of a loud mouth). The challenge medal was pretty sweet… catch you for the 2016 series (time to earn the new challenge medal).